The Trust’s director of external affairs Jane Tully has a first look at the Treasury’s call for evidence on a new ‘breathing space’ scheme for people in debt. It was a busy day in the world of debt advice yesterday – with a long-awaited Treasury announcement on ‘breathing space’ and the Financial Guidance & Claims Bill returning to the Lords for its Report stage. 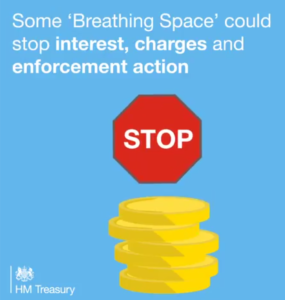 Progress on ‘breathing space’ follows pressure form Peers on the government to deliver its 2017 manifesto commitment to implement such a scheme after a long-running campaign from StepChange Debt Charity and others. The announcement itself is a lengthy call for evidence – with the proposal on the table offering individuals up to six weeks ‘breathing space’ from further interest, charges and enforcement action on their debts, if they seek debt advice, and the introduction of statutory debt management plans. It is, in effect, an extension of Scotland’s Debt Arrangement Scheme (DAS), rather than the ‘extended’, up to 12 month, breathing space that many in the sector have called for. Here a few first thoughts from me, following the Treasury’s announcement yesterday. It goes without saying that a statutory ‘breathing space’ scheme has the potential to act as a powerful incentive for people to seek advice – and with only 17 percent of people in debt currently doing so, this could make a significant difference. This increased demand would have to be adequately resourced, and a time when the legislation creating the new Single Financial Guidance Body is progressing through Parliament, this conversation is timely. A statutory scheme could also be a useful tool to encourage people to seek advice at an earlier stage, which we know from the frontline of debt advice leads to better outcomes for people in debt. At present, 37 percent of callers to National Debtline surveyed waited more than six months before seeking advice, with 18 percent waiting more than 2 years. Anything that will help us to shorten these delays is welcome. It is important to note that what you might call ‘breathing space’ already exists in the case of many creditors. FCA rules allow for a period of 30 days of this breathing space, followed by another 30 days if necessary, to give people time to access debt advice. Many banks, building societies and credit card providers, in particular, offer robust breathing space when people fall into financial difficulty, as a matter of good practice. A statutory scheme provides the opportunity to extend this coverage to all creditors and improve these protections significantly. With all creditors enacting the same period, people in debt might be offered a true breathing space. Crucially, the scheme must cover public sector creditors such as local authorities, HMRC and DWP, in addition to the private sector. Like other advice agencies, we have seen a significant shift in the UK’s debt landscape towards these public sector debts. One in four callers to National Debtline (25 percent) last year had Council Tax arrears – up from just 14 percent a decade ago. Problems with benefit overpayment debts have also increased, last year accounting for 14 percent of National Debtline callers. Making sure that all creditors – both public and private – play by the same rules is in the best interest of people in debt, who can then fully focus on taking the steps they need to tackle their debt problem. We will be making this point to the Treasury strongly in the consultation. The call for evidence covers a lot of ground – and asks a lot of the right questions – including how the government should determine who is eligible, when should the breathing space start, which debts should be included, what requirements would be imposed on the individuals, and how a statutory debt repayment plan would be administered. The document is very clear, however, that the proposal is for a scheme based on six weeks of protection – as per the commitment that appeared in the Conservative manifesto (the Labour manifesto commitment allows more wiggle room) – and the consultation does not extend to seeking views on this time period. The question the Treasury should be asking is whether six weeks is enough for people to recover their situation. In many cases, the answer will be no, and we hope that it is not too late for the government to reconsider this fundamental element of its proposal. As ever, as we seek to help policy makers to get this right, the devil will be in this and other elements of the detail. To end on a positive note, however – we finally have an announcement, and a call for evidence for the debt advice sector to get our teeth stuck into, as we try to maximise the benefit of the momentum behind this scheme for people in financial difficulty.  Here at the Trust we are looking forward to working with the Treasury and our colleagues in other debt charities to make the best of what could be a promising new tool in the advice sector’s toolbox. Read the Treasury’s new call for evidence on Breathing Space here.